Wild violets are beautiful when in bloom but as the temperatures warm up the flowers tend to wilt and die off by the heat of the summer. These flowers tend to start growing in shady areas and spread to sunnier locations should the conditions be favourable. This edible plant is not liked in many areas as it can take over a lawn. They freely self-seed to the point of being weedy in optimum growing conditions. In addition to being edible this plant has several medicinal properties as well. Distinguishing Features: The common wild violet is a native wildflower which tends to favour woods, thickets and stream banks. This is a low-growing perennial which features heart-shaped leaves and large blue-violet flowers (sometimes yellow or white). Each flower appears on its own leafless stalk. Depending on location, the flower blooms from early spring into the early summer months. 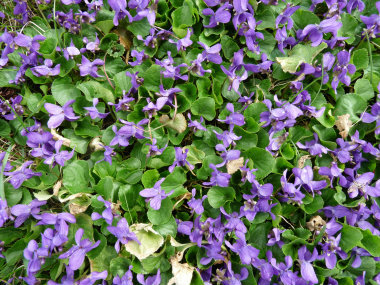 Flowers: Purple/blue tends to dominate the wild violets although they are also yellow and white. The flower has an inner white area and is somewhat hairy. Each flower slightly droops. Flowers bloom in early spring and usually by the time the temperatures get hot the flowers die off but the leaves remain. 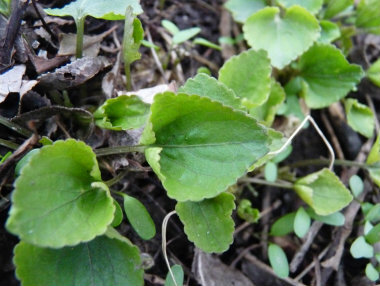 Fields of Nutrition has medicinal benefits and vitamin/mineral content of Wild Violet. Leaves: Violet leaves are palmate, alternate, and are somewhat an oblong heart or kidney shape. The leaf margin is serrated (toothed) and they do not have any hairs. They can grow to anywhere between 13mm and 50mm in width. 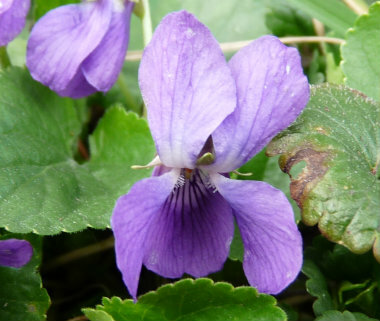 Height: Wild violets, depending on geographical location and soil quality grow anywhere from 15cm to 25cm tall. 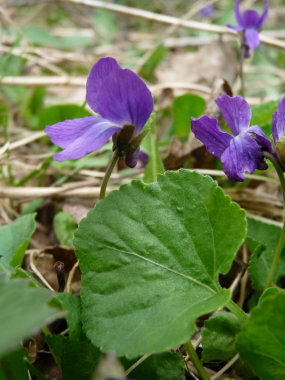 Habitat: Wild violets are native to many areas throughout (central and eastern) Canada and the US. Although they are located in Europe, they are not as common as they are in Canada and the US. 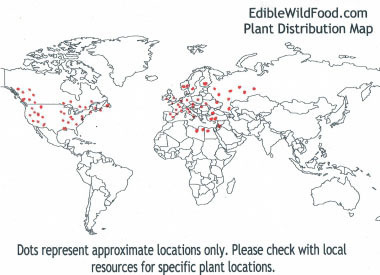 There are wild violets in Australia as well. They can thrive in medium, well-drained soils although they prefer moisture-retentive, rich soils. Although they survive in full sun, they tend to prefer part shade. 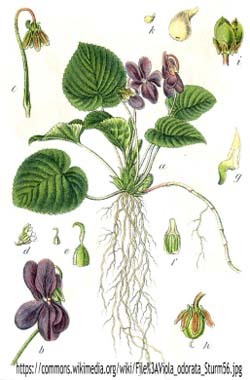 Edible parts: Violet flowers and leaves are edible with the leaves having a high level of vitamins A and C. They can be used in salads or cooked as greens. The flowers can be made into jellies, candied, or tossed into a salad. 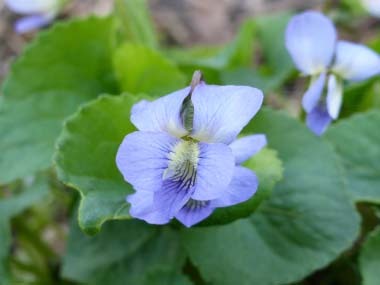 Other name: Common Blue Violet.